Medial knee pain is pain that occurs on the inner side of the knee and can be due to a number of problems. There are a number of structures on the medial side of the knee and problems in any one or more of these can cause pain. 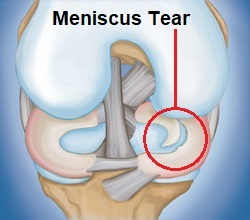 Symptoms may come on gradually over time or may develop suddenly after a knee injury. There may be a general inner knee pain, movement may be restricted or there may be a sharp pain. It is very common to get pain on the medial side of the knee, because muscle weakness and/or tightness, which is very common, can subtly change the way the knee moves. What Causes Medial Knee Pain? Here we look at the most common causes of inner knee pain. See which one sounds most like your problem and then use the relevant links to find out loads more about each condition including symptoms and treatment options for each. 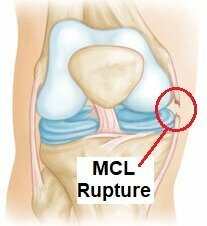 An MCL tear is the most common cause of medial knee pain in people under the age of 50. 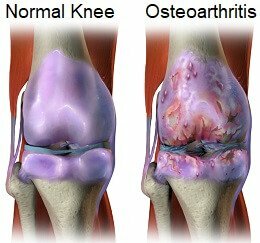 Features: There are three classification stages of osteoarthritis, mild, moderate and severe based on how badly the joint is affected. What Is Causing My Inner Knee Pain? 7. Medial Knee Pain After Sitting or Lying: Inner knee pain that is at its worse when you first move the knee after sitting or lying down for a while tends to be due to knee arthritis. The pain usually eases once you are up and about. It could also be due to Plica Syndrome. Why Is Medial Knee Pain So Common? This causes more force to go through the inner side of the joint, rather than distributing weight evenly through the whole joint, which results in damage to the inner side of the knee and therefore pain is felt medially. For example, it is much more common to get osteoarthritis on the inner side of the knee than the outer side. How Do You Treat Inner Knee Pain? Inner knee pain treatment will depend on what is causing the problem. In most cases, it helps to reduce any swelling and improve the strength and stability around the knee to take the pressure off the knee joint. In some cases, surgery will be necessary. 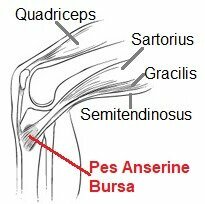 You can find out loads more about the best treatment for each cause of inner knee pain by reading the full articles list above. Be aware that just because there is inner knee pain, doesn’t necessarily mean the problem is on the inner side of the joint. Pain can refer from different places such as the knee cap or even the back. 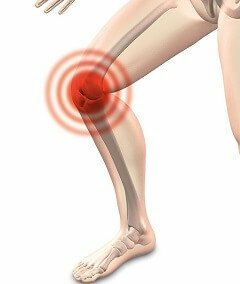 If your pain doesn’t sound quite like any of these problems, visit the Common Causes of Knee Pain section to find out about the most common knee problems. Alternatively, if would like some guidance with working out what is causing your problem, visit the knee pain diagnosis section for help. Remember, you should always see a doctor with any new onset of pain. To find out more about these common causes of medial knee pain, choose from the links above.